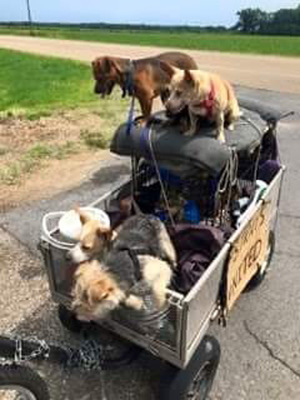 Alicia Erdington was driving near West Memphis, Arkansas when she saw a man pedaling a bicycle, with a wagon full of dogs. Unable to stop, but wanting to help, she loaded up her car with dog food and treats in case she saw him again. A few hours later, she did see him again. She quickly pulled over to introduce herself and find out his story. Starting his journey about two weeks prior, he told her that he was on his way to Indiana from California with six dollars in his pocket, to stay with a girlfriend that wanted to help him out. He then started introducing her to all ten of his dogs. She learned that his name was Steve later, but said that he never even thought of himself, he was all about his doggies. The fur babies came first with Steve. She took some pictures, and with his permission, made a post to social media asking if anyone else wanted to help him out. People responded, shared the post and the help came pouring in. 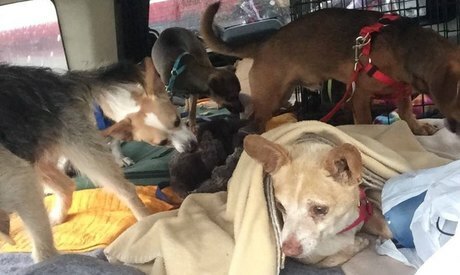 Steve was given dog food, hotel rooms to sleep in at night, and someone even started a gofundme page which has more than doubled it’s ten thousand dollar goal. 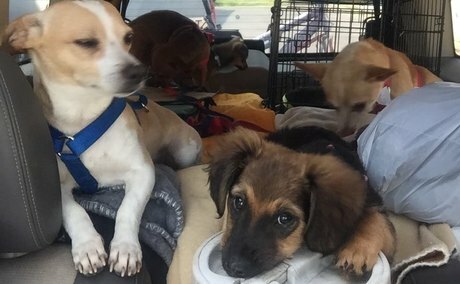 At one point, a woman picked them all up, loaded them all into her vehicle and drove them the remainder of the way to Indianapolis. The generosity was not over though. When they arrived, a kind person donated a trailer for them to all live in. Steve has cared for over 50 dogs over the last fourteen years. He said the dogs were there for him when no one else was and he will not let them down. He will always be there for them, no matter what. 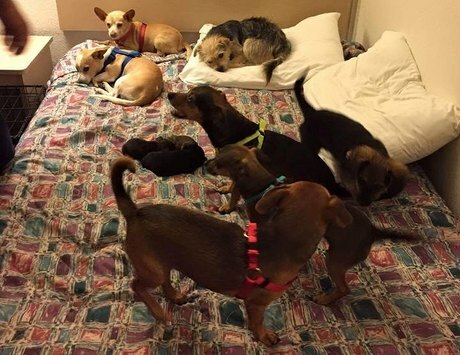 Follow Steve and his pups on Facebook.